Hi! I work with engineering website EEWeb.com and would love to do an exchange of website links and feature you as a site of the day on EEWeb. Is this of interest to you? Sure thing. This is an open site with open projects. I can be reached at brooksware2000@gmail.com if you need any further information. Like this to interface with Thermocouple item. Sure thing, I have a few pieces left to work out for the interface but, I will offer kits when complete. The thermoamp sits on top of another board? is it an Arduino? Also has this been used with a Rasberry PI? For the new design, everything is on a single board. Plugged into the board in the upper corner is a Bluetooth module that allows wireless communication. The other external board contains an LCD and menu buttons for manual control. 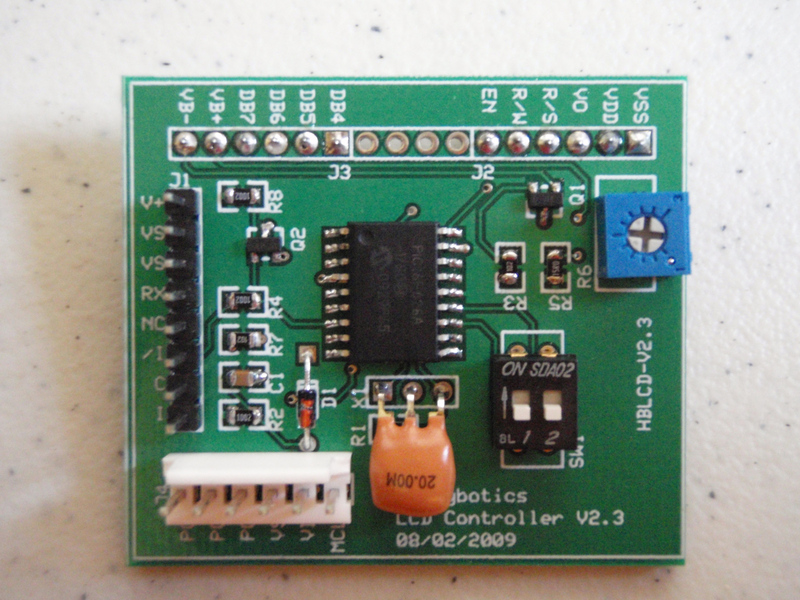 The previous design was all-in-one but has a connector that allows an external real time clock breakout board to be plugged in. The code for the LCD controller above runs on a PIC16F628 from Microchip. Controlling the LCD controller can be done over serial port by a microcontroller or Serial connection from a computer. That now makes me even more interested in a kit. Want to mointor cyliner head temps. Please make a kit soon. I’m working on it. I need to make sure the firmware, software and case is solid before release. Where can I find the HEX file or compiler which I can use to get it? Compiler I used for the code is PicBasic Pro. The Hex files are in the download links.